East Central Idaho Planning and Development Association of Rexburg has received a $1.5 million grant to help build and fund the Teton County Professional Technical Education and Business Center in Driggs. 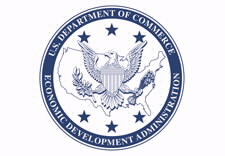 The Economic Development Administration grant was announced last week by U.S. Secretary of Commerce Penny Pritzker. The center is expected to create 100 jobs and contribute $850,000 in private investments, according to estimates from the association. Instead of constructing a new building for the center, an already existing two-story, 20,000-square-foot building will be brought up to code and have a new HVAC system and other utilities installed. The renovated building will be used for professional technical education and will support light manufacturing and other industries. I have been surfing online more than three hours today, yet I never found any interesting article like yours. It's pretty worth enough for me. In my opinion, if all webmasters and bloggers made good content as you did, the internet will be much more useful than ever before.